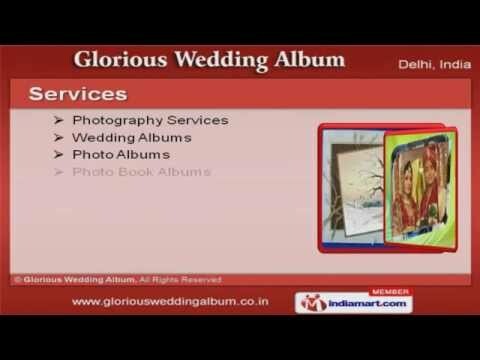 Welcome to Glorious Wedding AlbumManufacturer & Service Provider of Photography Services & Albums The Company was established in the year 1998. Our Cutting edge technology & High-definition technology make us stand apart from also-rans. Unparalleled quality services, Specialization in bridal photography & on time deliveryschedules help us to achieve an unrivalled position in the industry. Photography Services, Wedding, Photo Book & Matt Finish Albums are some of ourservices. We offer Magazine Style, Crystal & Indigo Albums are in huge demand across theglobal markets. Our Table Calendars & Invitation Cards are best in the industry amongst others. Crystals & Glass Frames Sublimations offered by us are widely appreciated in themarket. Our Visiting Card Holder & Lamination 3D Films are available at affordable prices. Along with that we offer Karizma & Photo Book Cover Classic that are a class apart.